"Come and do what You wanna do. Come and say what You wanna say. Come and heal what You wanna heal. WE GIVE YOU PERMISSION." 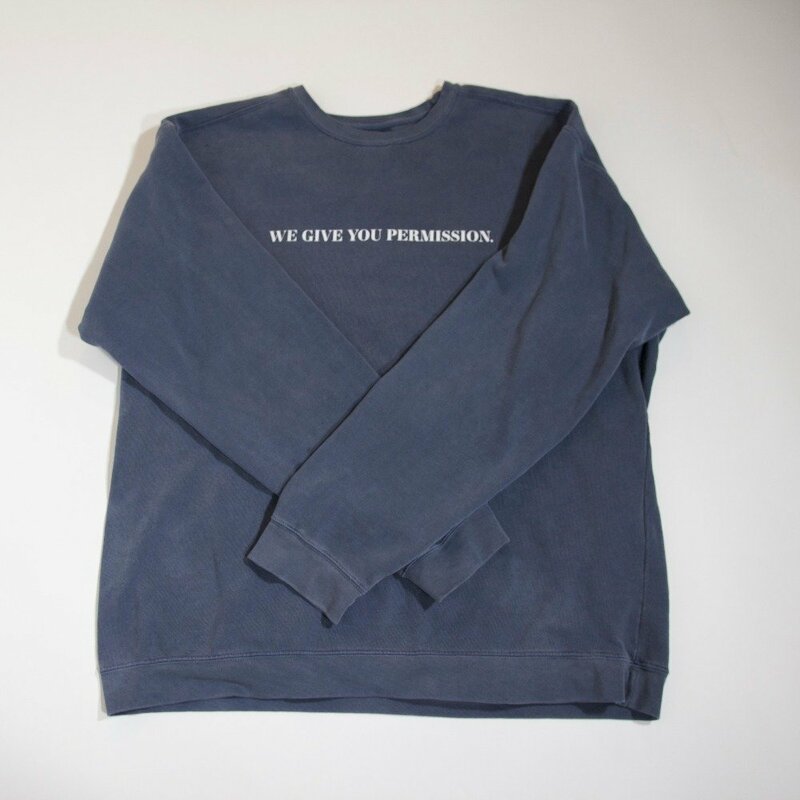 This oversized sweatshirt is available in "comfort colors" and bears a line from K + E's song "Permission."